Better than Brand New! 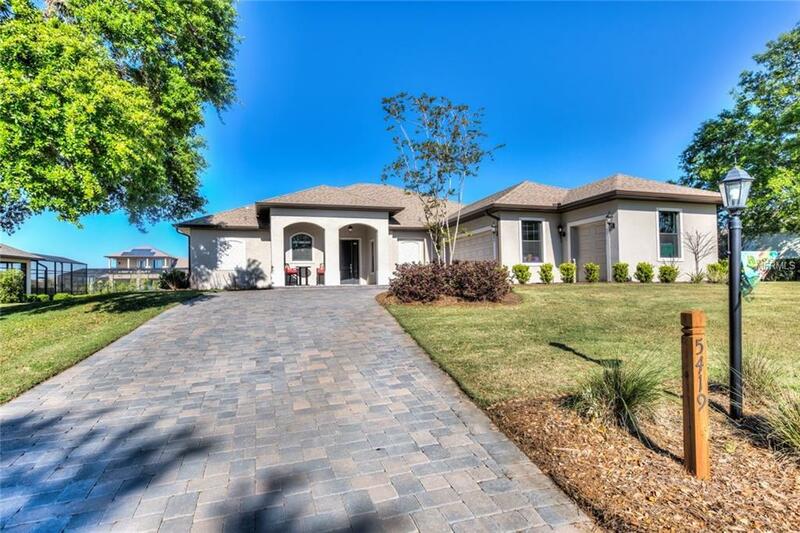 You must see this 2016 built executive home in beautiful Harbor Hills Country Club. Located in the prestigious Bella Vista section, this truly gated community offers rolling hills and serene settings. This home features three full bedrooms plus a bonus office area. You will immediately appreciate the stunning porcelain wood style plank flooring throughout. The master bedroom is 20x17, allowing for plenty of space. The Master bath has a stunning double walk in shower with separate shower heads, quartz counters with separate double sinks, a sit down vanity, two large walk in closets, and gorgeous neutral colors. The guest rooms are set up with a semi Jack and Jill plan with one bedroom having full access to a bathroom... easily making it a suite. The gourmet kitchen has upgraded cabinetry with architectural design quartz counters including a convenient island with room for bar stools! You will love the nice inside laundry area, extra storage space, flowing layout, and the fact that this home is just two years new! Enjoy dinners or relaxing on the large covered lanai gazing at large lot with a roomy backyard. And don't forget to bring the golf cart... this home has a two car garage with additional golf cart garage. You really must see this one! !